I always love traveling to a new place because that means opportunities to try new restaurants and local hot-spots. Going to eat in downtown Chicago leaves you with plenty of options for food that varies by your location. Lincoln Park has a lot of hip cafes and killer brunch spots while eating in River North offers various steak and chop houses. Same is true with Milwaukee as the North/North East area near UW Milwaukee has a lot of unique gastropubs and non-traditional restaurants while downtown has a spread of more formal sit-down restaurants. For Kell and I we have found ourselves venturing out into the North East area the most because of all the cool unique spots. A few of our favorites include Bel Air Cantina (now with 3 locations), Beans & Barley, and Cafe Benelux in the 3rd ward. 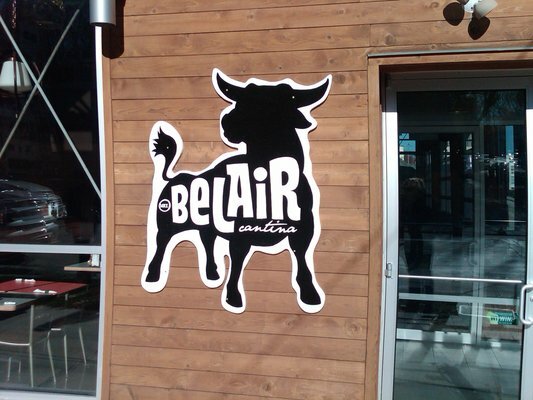 Bel Air is the hipster Mexican restaurant that brings in a young lively crowd. Every time we go to Bel Air we have waited no less than 25 minutes not because of bad service but simply because it is always so packed and that goes for all three locations. The menu carries a lot of traditional items with some modern touches. Specials include weekend brunch, burrito Monday madness, and our favorite: $2 taco Tuesdays and Thursdays. 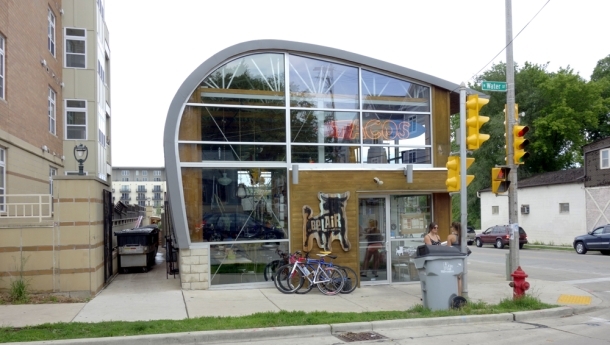 Every trip to Milwaukee includes at least one stop at Bel Air for $2 tacos and Dos Equis taps. Also, with every three tacos you get free rice and beans so for $6 you have a complete meal, can’t beat that! Beans & Barley is also a hip and local spot that is a one-stop-shop of a deli, cafe, and market. The cafe part has a variety of hot and cold sandwiches as well as a rotation of soups and chili. Hot sandwiches are always a go to, but the one thing every trip includes is the hummus and pita as well as a big bowl of the chili. Being someone who needs to have meat with every meal, I hardly miss it with this vegetarian chili because it is so hearty and rich. Beans & Barley actually makes their hummus in house, and it is to die for. The market and deli have a wide selection of local and homemade items from soaps, to jams, to fresh bakery goods. Also in the deli you can find their homemade hummus which you can buy along with their homemade peanut butter which is also delicious. 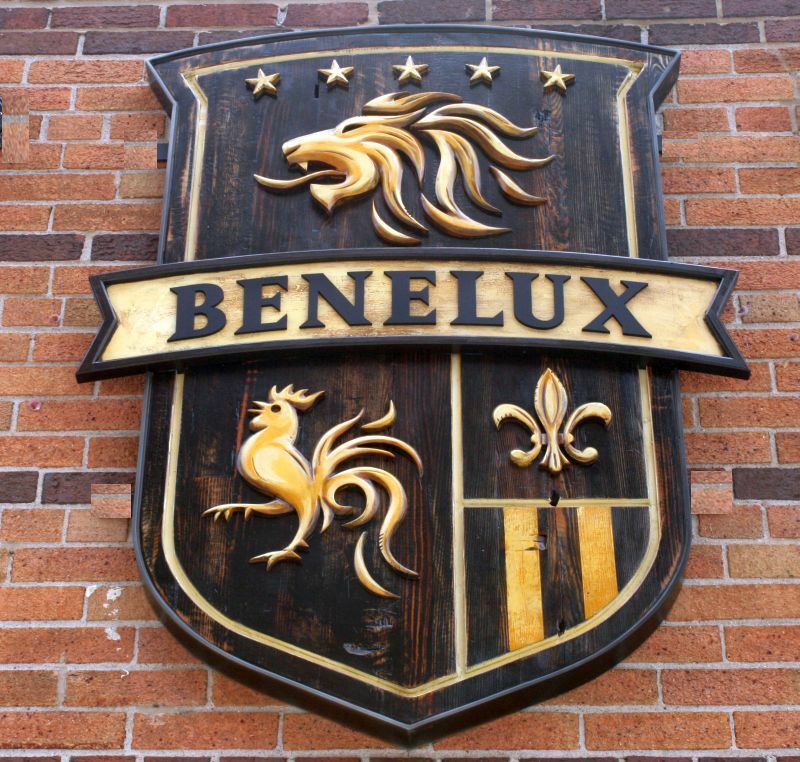 Cafe Benelux is a Dutch themed cafe located in the historic 3rd ward area. A hopping brunch spot, Cafe Benelux hosts an impressive 40 page beer menu to pair with any food item you can choose. Brunch menu options are unique as well varying from a twist on chicken and waffles to cinnamon streusel french toast and seven different bloody marys to compliment those as well. Personal favorites include skillets as well as their fried chicken and waffles. Although a step up from usual brunch spots, the atmosphere and food are worth every cent. Weather pending you can enjoy your meal on their patio as well as roof-top dining area for a great view on top of a great meal. Up next to try: Trocadero, Le Rêve Patisserie & Café, and the Smoke Shack. Next Post: V Day, Free Day!